Data, data everywhere and not a byte to eat. There has never before existed a greater disparity between the haves and the have-nots. For the rich, the sky is no longer the limit. Humanity has lifted a tower into space. We have colonized the moon and Mars. 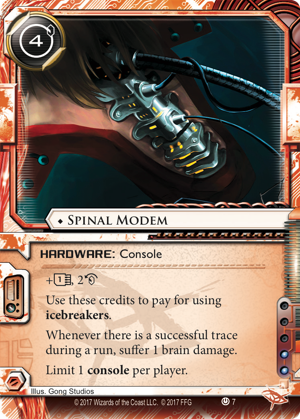 Even our mortality has come into question, as Haas-Bioroid's advances in braintaping and Jinteki's progress in cloning suggest the possibility of recycling our consciousnesses in new bodies—with only the moral concern standing as a final hurdle. That day may come sooner than any of us anticipate. So, at a time when the rich can travel to the moon with nary a thought and cast their greedy eyes toward the secretly funded projects housed in corporate sub-sub-basements, why should any of us have to beg for food? Why should anyone who helped construct hoppers and arcologies be forced to grow old among the disenfrancistos of the undercity, cast aside in favor of android labor? What can't we all enjoy the benefits of corrective g-modding? 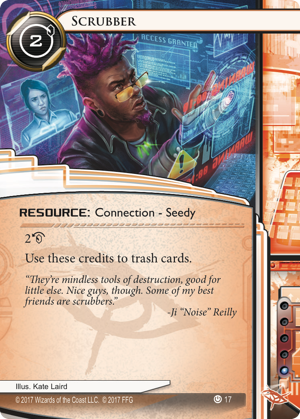 In our last preview of the Revised Core Set for Android: Netrunner, we looked at the game's corporations and their different strengths and playstyles. Specifically, we explored the various ways they try to secure their data against criminal incursions. 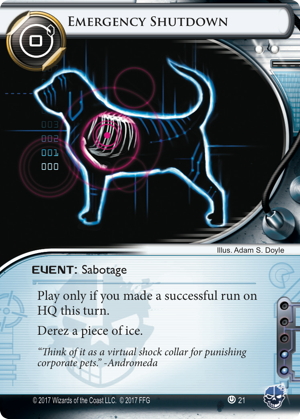 But today we look at the truths our last preview didn't tell you: the criminals of Android: Netrunner aren't all the same. They run for some wildly different reasons and they rely on some wildly different methods. 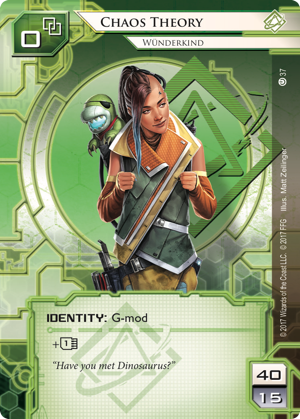 There are numerous Runners in Android: Netrunner, and—barring a few key exceptions—they all find a home in one of the game's three main factions—Anarch, Criminal, and Shaper. Unlike the game's Corp factions, however, these groups aren't formal constructs. There's no "Anarchs club," nor any official Criminal organization. In fact, the game's Shapers are typically just as much of a mystery to each other as they are to everyone else. No, these Runner classifications arise from a basic understanding of why the different groups choose to run in the first place. They are defined by their motivations. Anarchs are the crusaders of their own private wars, running in order to pull apart the lies the Corps have constructed. Criminals run because there's money to be found in trading Corporate secrets. And Shapers run because—well, Shapers are something of an enigma. Their runs bear the marks of curiosity or self-expression. One might say they run because they can, conquering Corporate servers the way mountaineers may once have tackled the Himalayas. In turn, these different motivations give rise to different methods. The tactics that might best torch a Corporate server aren't necessarily the most lucrative, after all. 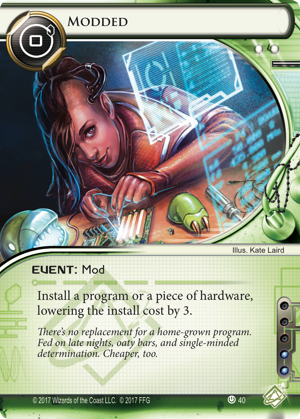 In the end, Runners are individuals, not organizations, and the game's rules for deckbuilding allow you to spend your Runner's influence to "buy" cards from the other factions. 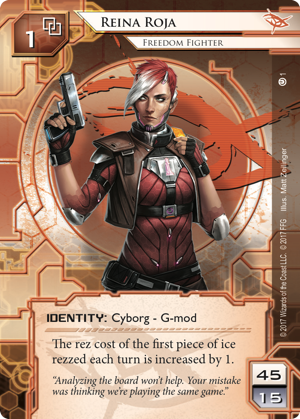 Even so, the distinctions between factions are meaningful, and the Revised Core Set heightens them by presenting a cohesive blend of cards cherry-picked from the classic Core Set and first two cycles of Data Packs. 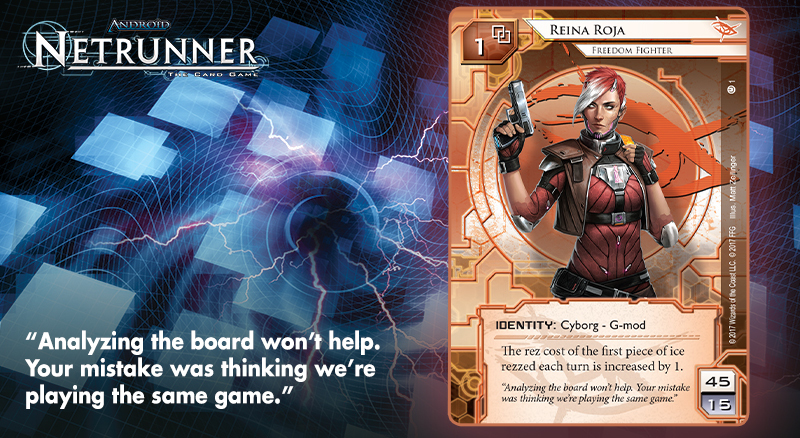 Epitomized by Reina Roja (Revised Core Set, 1) and her one-woman crusade against the Weyland Consortium, the Anarchs of Android: Netrunner come out of the Revised Core Set "fierce and wild." 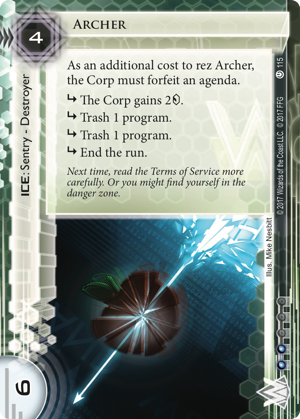 This is the description given by developer Michael Boggs, who goes on to clarify that the Anarchs can "put the Corp in a chokehold by destroying the cards they need the most and reducing the potency of their ice. 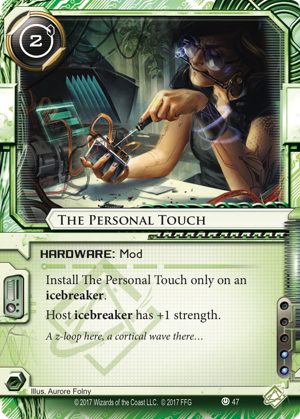 While Anarchs can make efficient runs using their powerful icebreakers and recurring credits, the restricted nature of their toolset limits the number of runs they can make each turn. But a few calculated runs are all an Anarch needs to make sure the Corp can't advance its agendas and win the game." 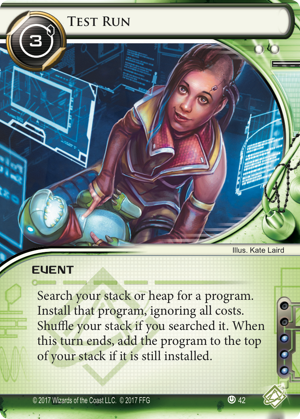 While virus programs like Datasucker (Revised Core Set, 9) remain a key part of the Anarch identity, the Revised Core Set doesn't feature them as prominently as the classic Core Set. This, says Michael, was to improve the faction's consistency and interaction. 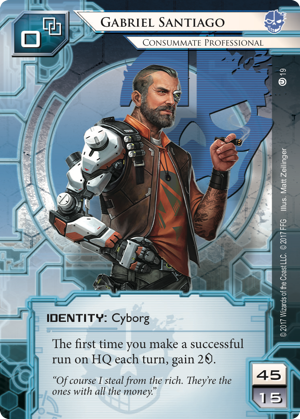 Now that cards like Retrieval Run (Revised Core Set, 3), Spinal Modem (Revised Core Set, 7), and Scrubber (Revised Core Set, 17) are pulled into the Revised Core Set, Michael believes that Anarchs should "always have an incentive to interact with the Corp."
He's aged nicely, upgrading his cybernetics and adopting an air of semi-respectability. 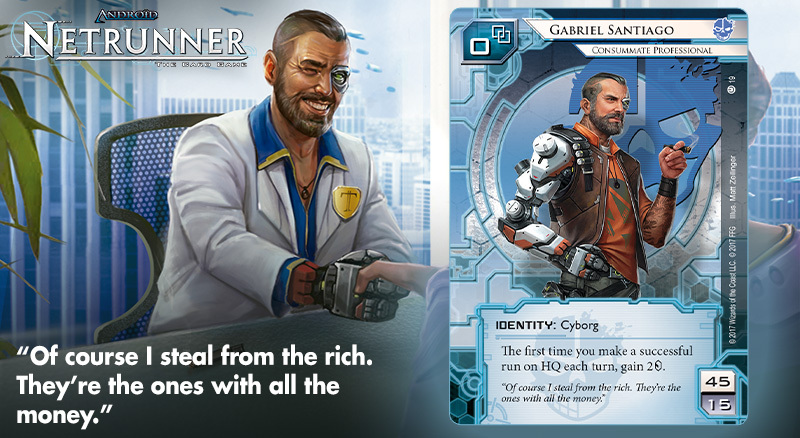 But don't let all of that fool you; Gabriel Santiago (Revised Core Set, 19) is still a consummate professional—a Criminal in the game strictly for the credits. Gabriel remains the poster child for the Criminal faction, says Michael, because "Criminals are all about speed and subtlety." "They get their icebreakers fast thanks to Special Order and Mr. Li, and these allow them to keep up consistent pressure on HQ. 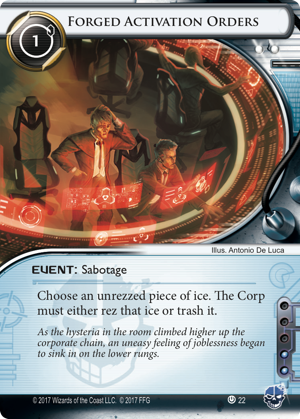 Their flexible events let them exploit any opening the Corp might leave, and although their icebreakers aren't as efficient as those in the other factions, Criminals tend to make up for this by ignoring ice or simply making it go away." Despite the fact that they still prefer to use resources and events to come at the Corps from unexpected angles, Michael says the Revised Core Set provides these Criminals with "a broader array of programs and resources," a decision made to "round out the Criminal toolset." 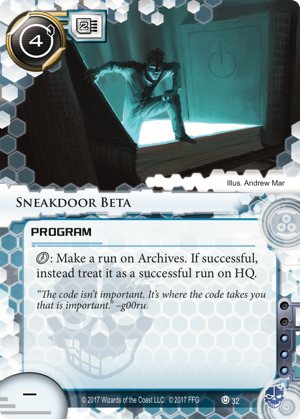 Accordingly, powerful events like Emergency Shutdown (Revised Core Set, 21) and Forged Activation Orders (Revised Core Set, 22) have been paired with programs as clever as Sneakdoor Beta (Revised Core Set, 32) and Femme Fatale (Revised Core Set, 29). 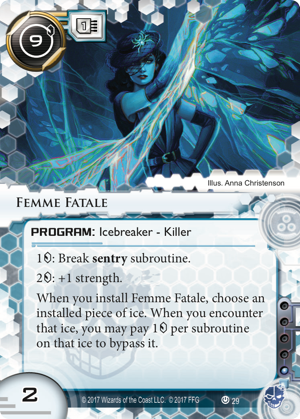 And while these Criminals don't prize the complexity of their rigs in the same way that Shapers do, they can still pull out some of the most effective breakers in the game, especially when they're looking to protect their hides from the Corp's most punishing sentry ice. 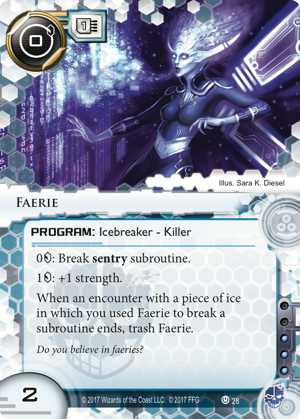 Faerie (Revised Core Set, 28) is only a one-shot breaker, but it's exactly the breaker you want when you're up against a sentry like Archer (Revised Core Set, 115). Although it is often difficult to understand what motivates the game's Shapers to assume the terrible risks associated with deep runs on Corporate servers, it is far easier to appreciate their methods. 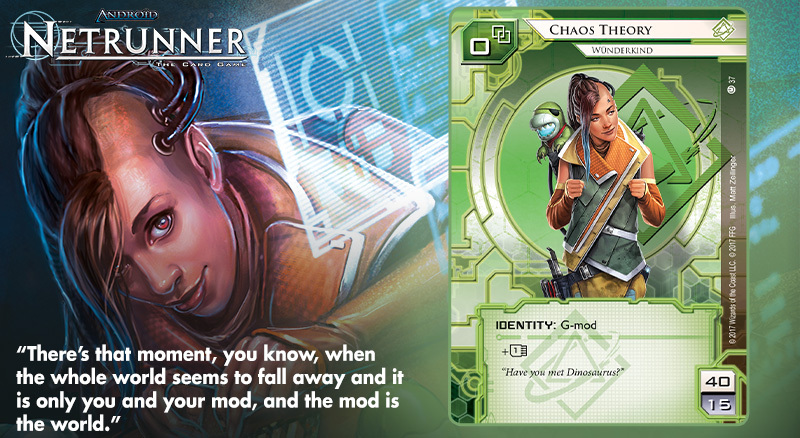 Shapers like Chaos Theory (Revised Core Set, 37) are tinkerers at heart. If their runs are exploration or self-expression or thrill-seeking or self-discovery, the time they invest on their rigs is all part of the same process. 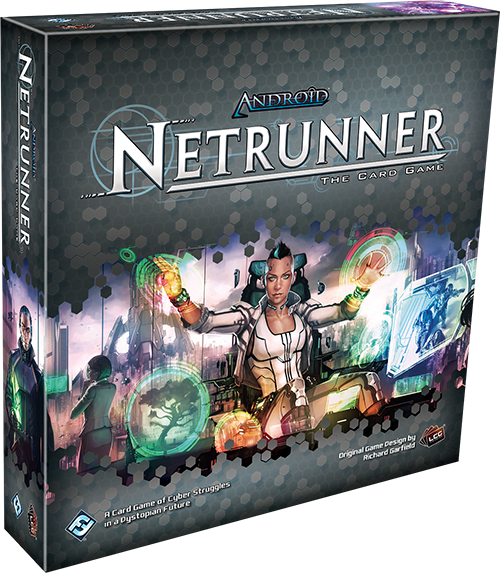 It's true that Android: Netrunner follows the conflicts between Corps and Runners in both the virtual realm and the meat world, but if anyone ever became wholly absorbed by the potential of everything virtual, it would be one of the game's Shapers. Their modded hardware and programs are like the keys to a million different doors, each waiting to be discovered and unlocked. As Michael says, "Shapers focus on building their rigs—and inevitability. 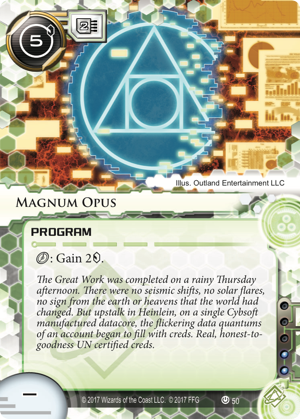 By establishing powerful economies with Magnum Opus and Modded , and using cards like Test Run and Rabbit Hole to find the right tools for the right situations, Shapers are capable of creating rigs that win their contests with Corps through sheer force." 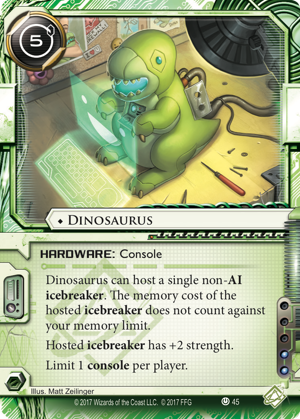 "The persistent strength of their icebreakers, alongside such strength-boosting options as Dinosaurus and The Personal Touch , allow them to lock down even the deepest servers. And the pressures they can apply to R&D ensure that the Corp eventually has to make a move." In keeping with the faction's identity, the Revised Core Set doesn't offer sweeping changes or revisions from the classic Core Set—nothing that would force you to play the game in some wildly different fashion. 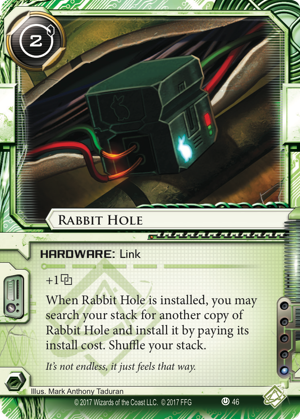 Instead, it tinkers with a few cards here and there, introducing new choices and possibilities, and allowing you to see where you can take them. No matter the reasons that compel you to launch run after run on Corporate servers, you need mad skills and a laser focus to succeed. Failure isn't just getting booted out by some harmless bot; failure can result in getting tagged and bagged. Fortunately, the Revised Core Set provides everything you need to get started, and it lends fantastic clarity to your path. Anarchs tear down, Shapers build up, and Criminals skulk about. 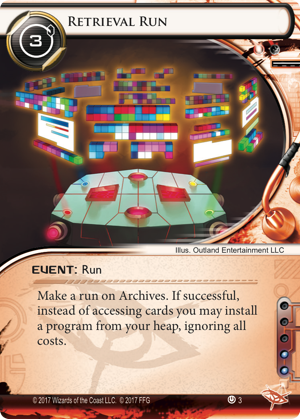 Of course, these are just the building blocks, and they're what the Corp expects of you—so the Revised Core Set offers you plenty of ways to personalize your approach, employ your imagination, and pluck Corporate agendas out of carefully guarded servers without the Corps ever learning what hit them. The future awaits you. The Network awaits you. You just have to jack in. 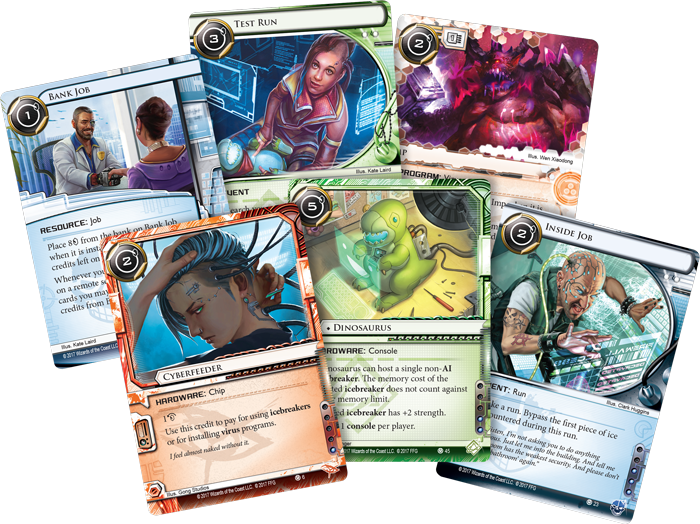 Head to your local retailer to pre-order your copy of the Revised Core Set (ADN49) for Android: Netrunner today, or click here to pre-order yours from our webstore!